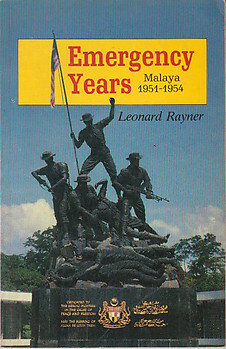 > Malaysia > "The Emergency"
These are the personal memoirs of a British civilian, employed at Malaya's only coal mine during the 'Emergency' period. The area of Batu Arang in Selangor was also a hot bed of Communism at the time, so his life was never dull. Near Fine Paperback. First edition. 103 pages. Condition: Other than a very small amount of cover wear, the book looks new.